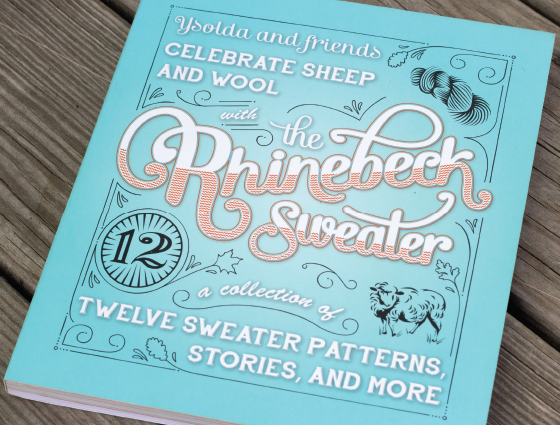 This 184-page book celebrates a mid-October wool festival that takes place each year in Rhinebeck, New York, and a tradition that has evolved with it: excited festival goers spend weeks beforehand knitting new sweaters to wear and proudly show off to fellow knitters at the fairgrounds. 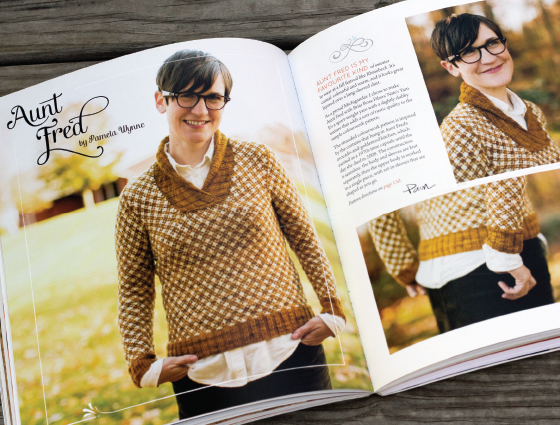 In honor of this fun tradition, "The Rhinebeck Sweater" features twelve fall sweater patterns, photographed amongst the festival's fall leaves and vintage food carts. 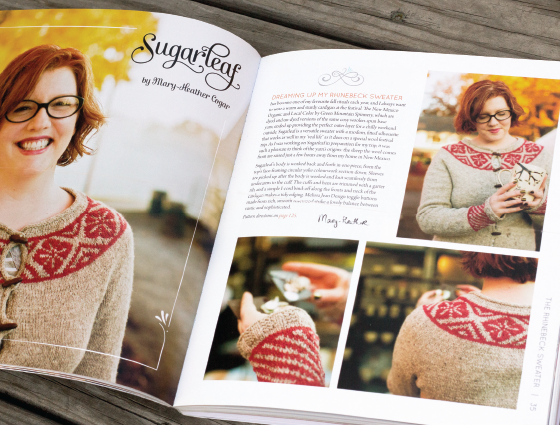 The front of the book features full-color pages highlighting the beautiful photography for each sweater. 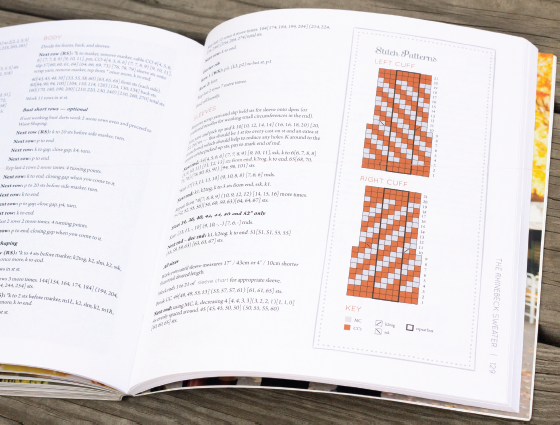 The second half of the book, which contains the written directions for knitting each pattern, is laid out in a 2-color design as a way of keeping printing costs down. 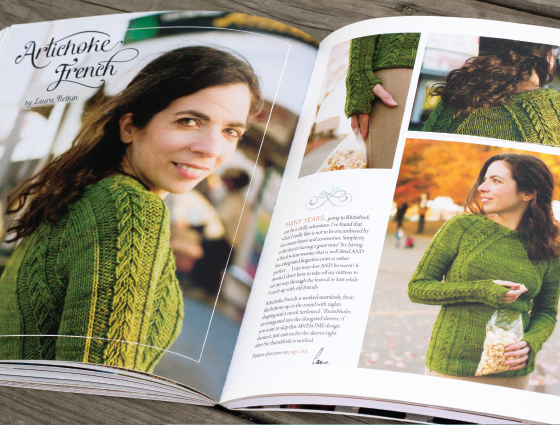 The book is organized like a story about a day at the festival using visual transitions between each sweater: the last photo of each sweater also shows the next sweater in the book. 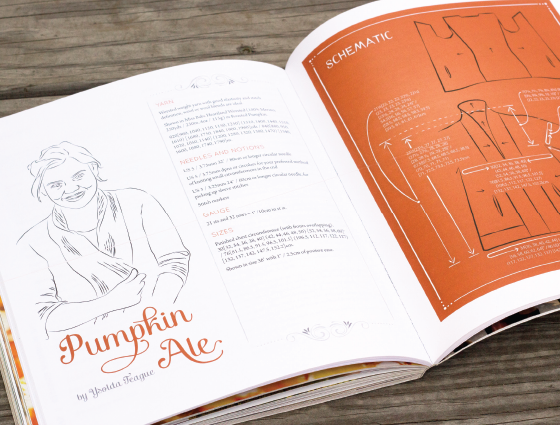 The hand-lettered title and illustration work on cover have the feel of a vintage sign. 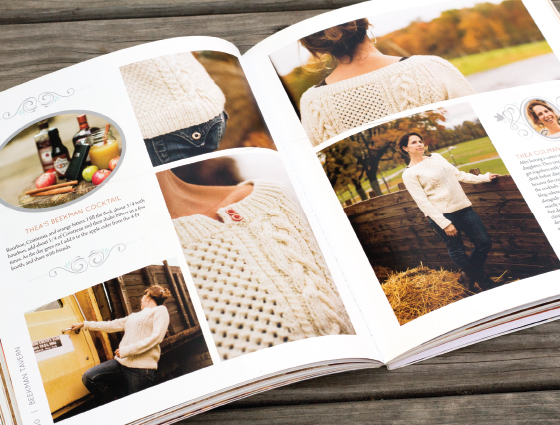 Decorative elements carried throughout the rest of the book capture the spirit of autumn. A playful, vintage font face is used for headings and pattern titles. This book was released as a printed soft-cover, as well as a digital ebook. 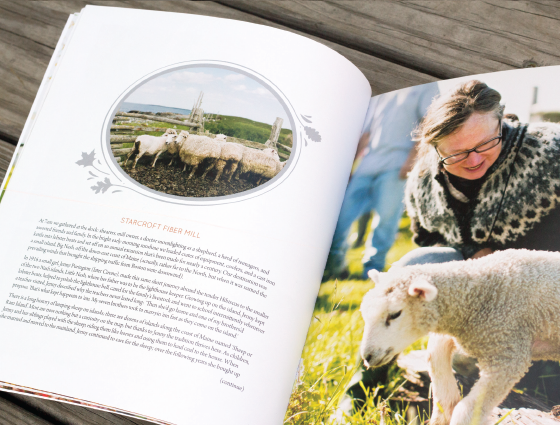 "It's one of the most thoughtfully designed books we've seen in years. 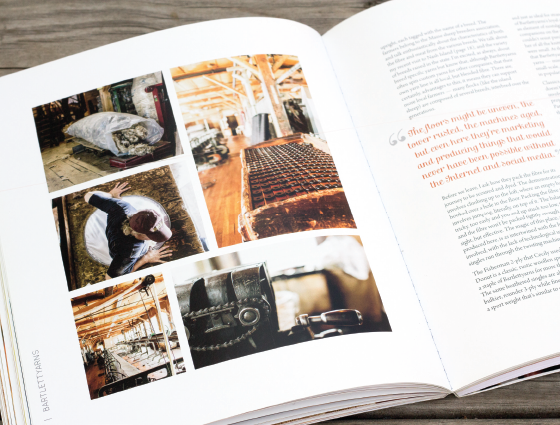 The ebook looks just as good as the printed version."